Visitors to Chelsea College of Arts this month may have been intrigued by the presence of a shipping container on the Rootstein Hopkins Parade Ground, unaware that it is, in fact, part of a project which provides an unlikely but ingenious solution to a global problem. 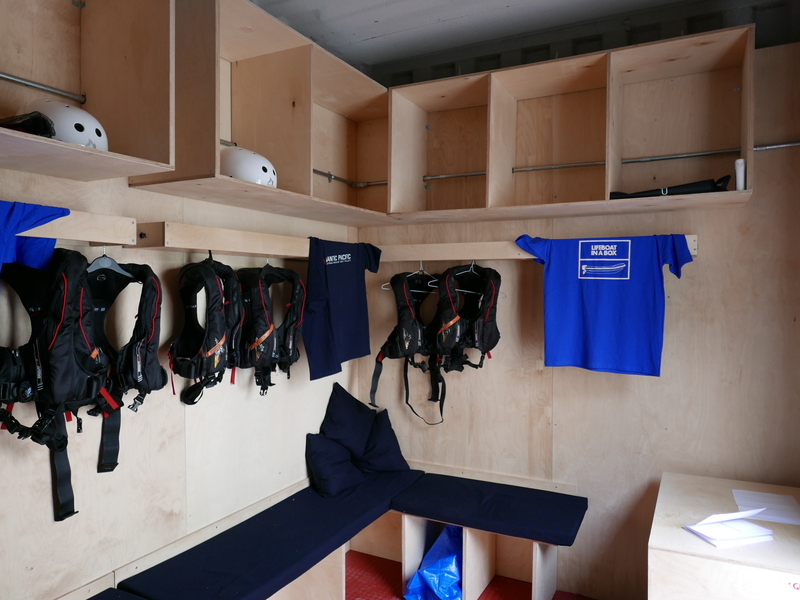 This unassuming structure is Life Boat in a Box: a portable lifeboat station whose interior has been installed by Chelsea’s Interior and Spatial Design students, mentored by Robin Jenkins, Senior Lecturer in Interior Spatial Design. On display throughout the installation works, this project has offered Chelsea students a chance to design and build the elements required for a lifeboat station and to experience firsthand the possibilities for social transformation through art and design. The project is the result of ongoing work that began in Japan’s tsunami effected region on the North Eastern Coast: in 2014 Jenkins was invited by Future Lab Tohoku to visit the city of Kamiashi, the first hit location by the Great Eastern Earthquake and Tsunami of March 11, 2011. Digital renders of early designs for the Life Boat in a Box by student Victor Polyakov. 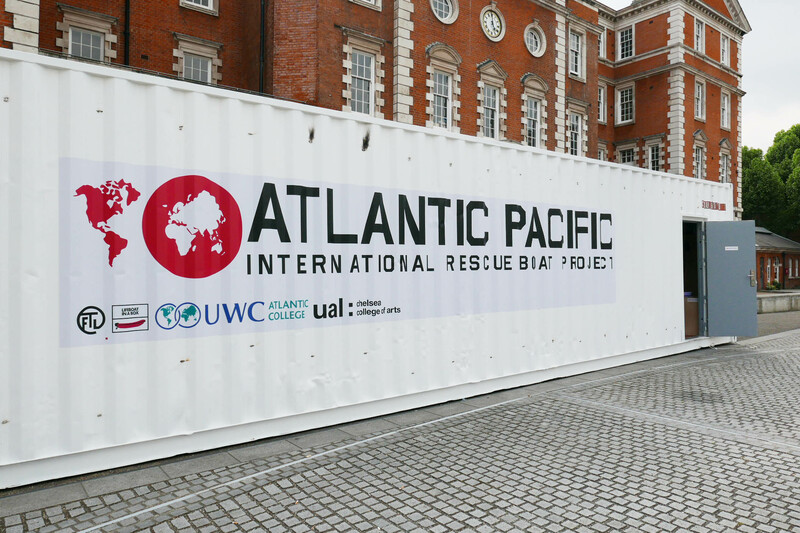 This month, a group of Chelsea students, working with Atlantic Pacific International Rescue Boat Project (APIRBP) and UWC Atlantic College in Wales (birthplace of the Rigid-Hull Inflatable Boat – known as a RIB), have taken part in the development of Lifeboat in a Box – the first prototype produced with a view to establishing funds to take the project beyond Japan to other locations that could benefit. 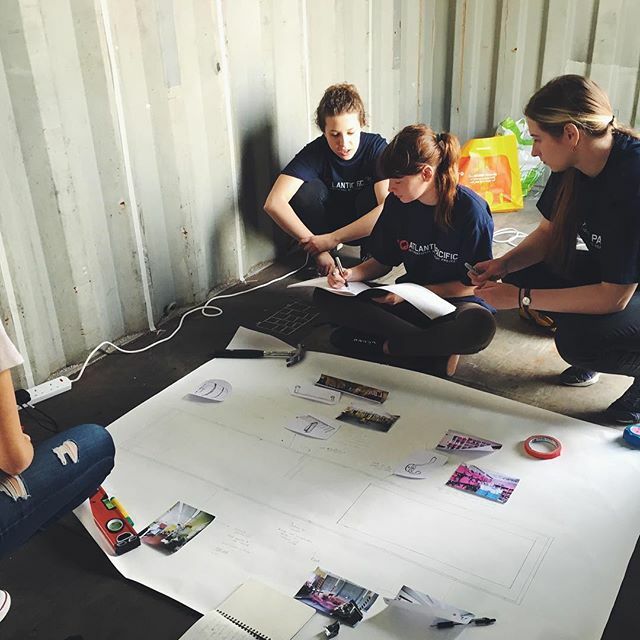 Students have had to consider what is required for such a facility, designing and constructing the fit-out of a 40ft shipping container as well as planning its external appearance to present it in a global context. 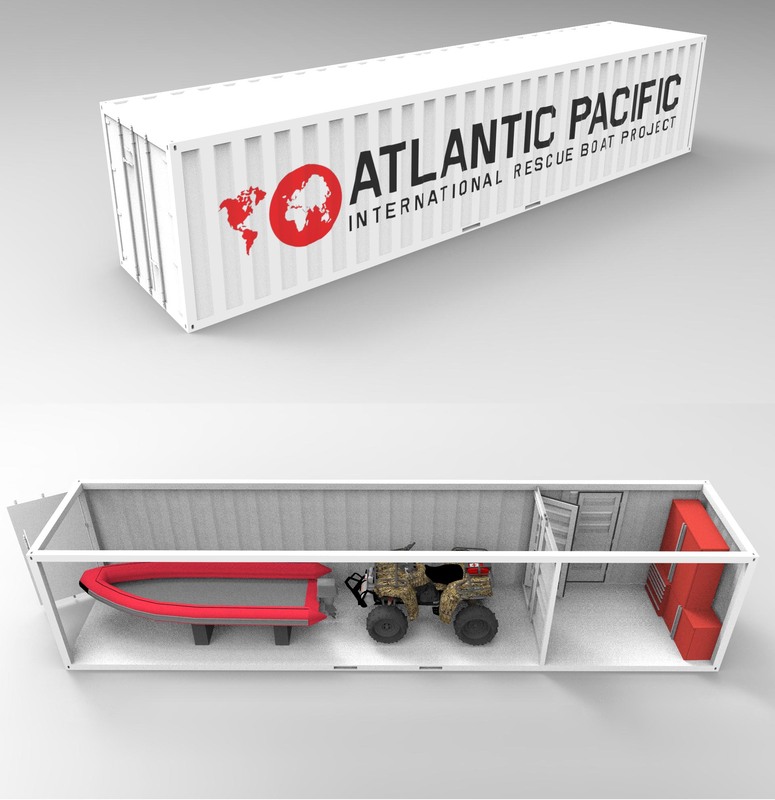 The container features a workshop for fixing the RIB, a changing facility for the crew and the bespoke RIB that UWC Atlantic College students are currently designing and building. Indeed, work of lifeboat crews in crisis zones has become more high profile in recent months, as Syrian refugees and migrants landing on Greek islands have dominated international news stories. At the end of 2015, Jenkins joined Atlantic Pacific International Rescue Boat Project when it engaged in its first active project during the Christmas period by providing a small boat to assist in this refugee crisis unfolding in the Aegean Sea. 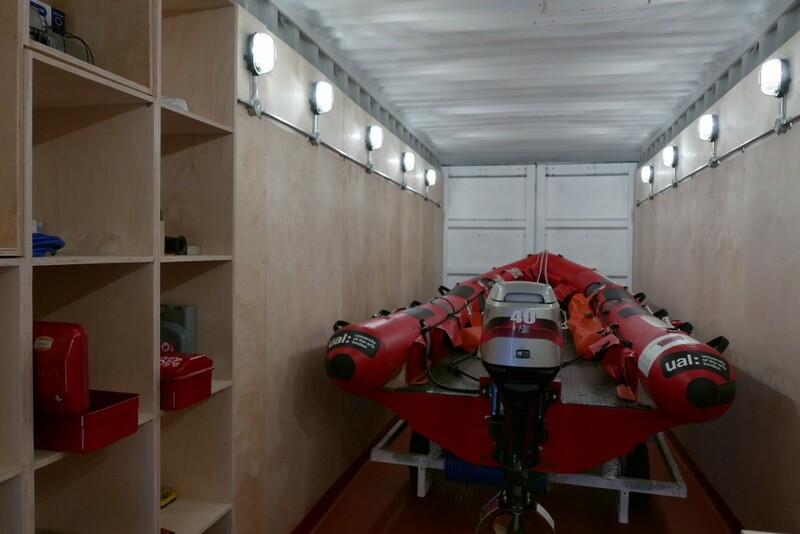 Lifeboat in a Box may be the first of its kind, but is unlikely to be the last.